Christine McHorse is well known for her sculptural pottery. Each piece is coil built and has very thin walls. 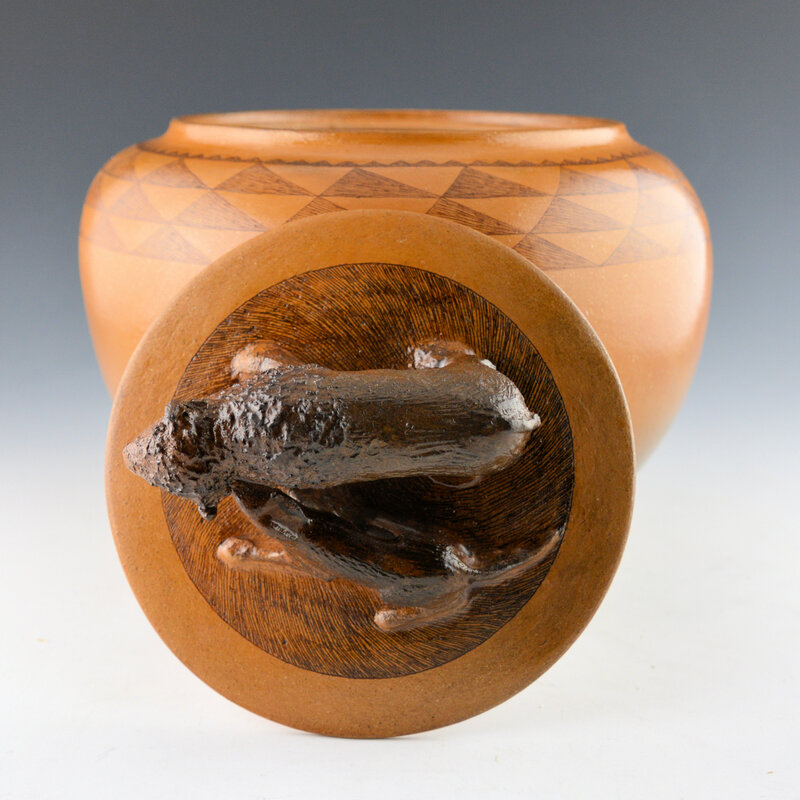 This lidded bowl is from 1993. The bowl itself is very thin walled. There is a triangular mountain design which is very lightly etched into the clay around the shoulder. Note the very thin lines! 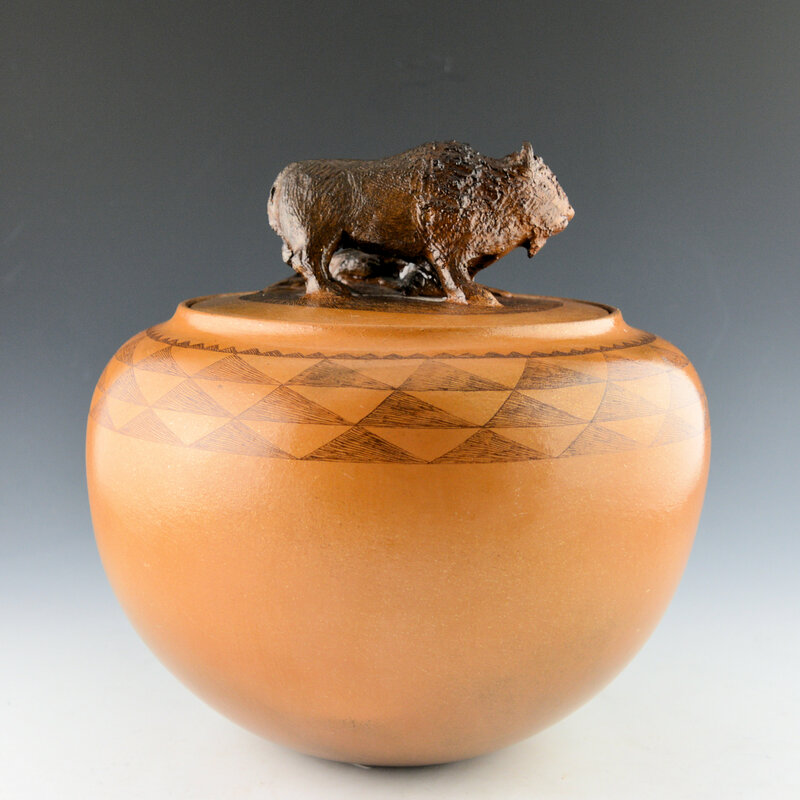 The lid has a wold and buffalo as a sculpture. The area around the animals is also etched with very fine lines. 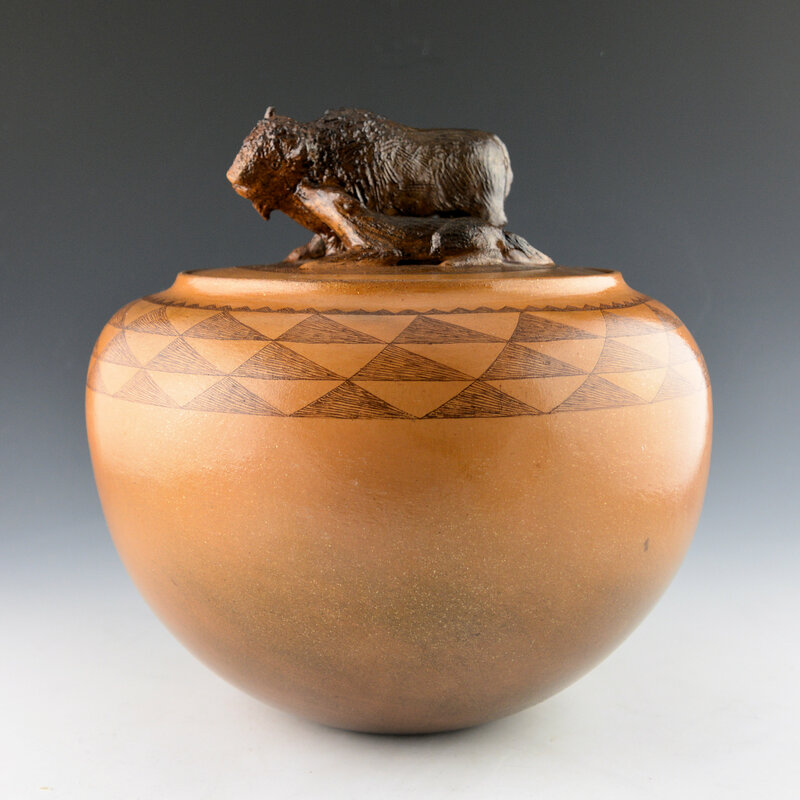 The piece was traditionally fired to create the coloration and then it was covered in pine pitch, which is typical of traditional Navajo pottery. There is a simplicity to the form and yet a complexity to the animals and the designs. 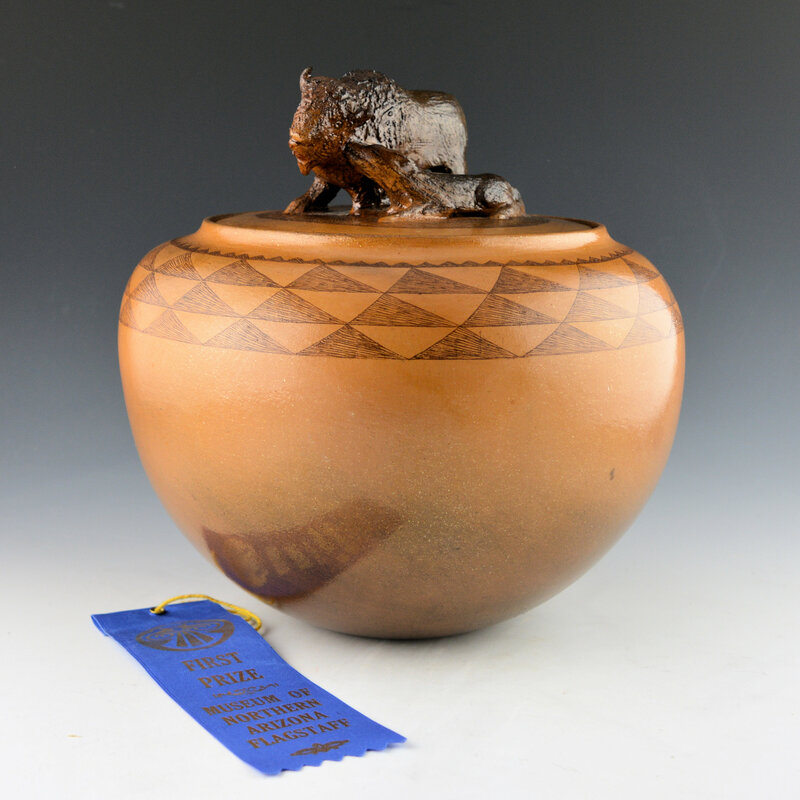 The bowl received a Blue Ribbon (1st Place) at the 1993 Museum of Northern Arizona Navajo Show. The ribbon is signed by Jack Beasley. The piece is in excellent condition with no chips, cracks, restoration or repair. 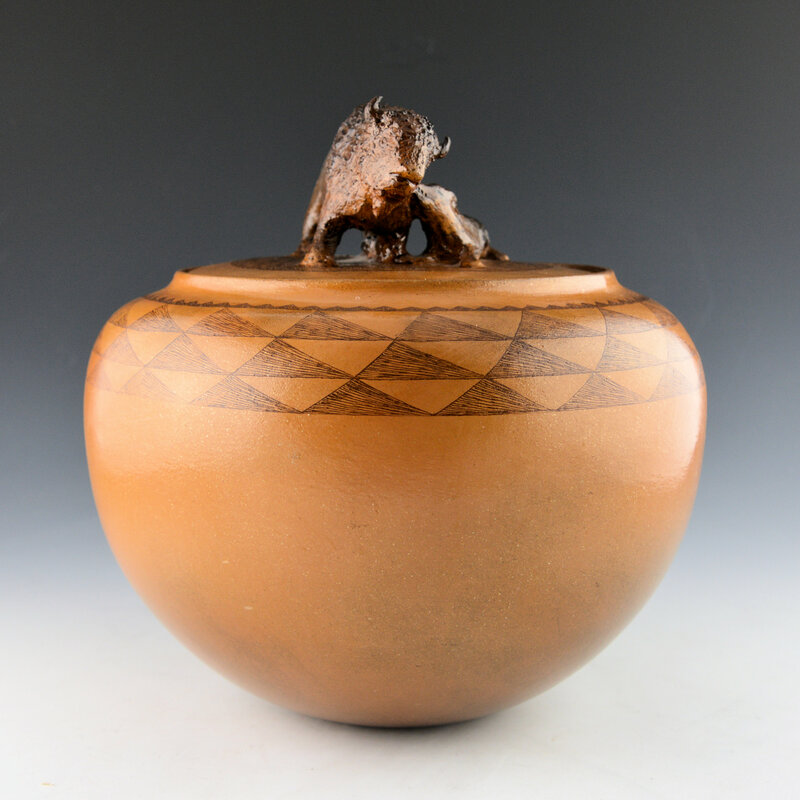 Both the lid and the bowl are signed on the bottom in the clay. Today Christine is creating more sculptural works with her pottery currently in the “Dark Light” exhibit which has traveled nationally.